After four years of work to improve government coordination and response, land agencies prove they can overlap efforts and bring integrated solutions to the nation’s rural problems. 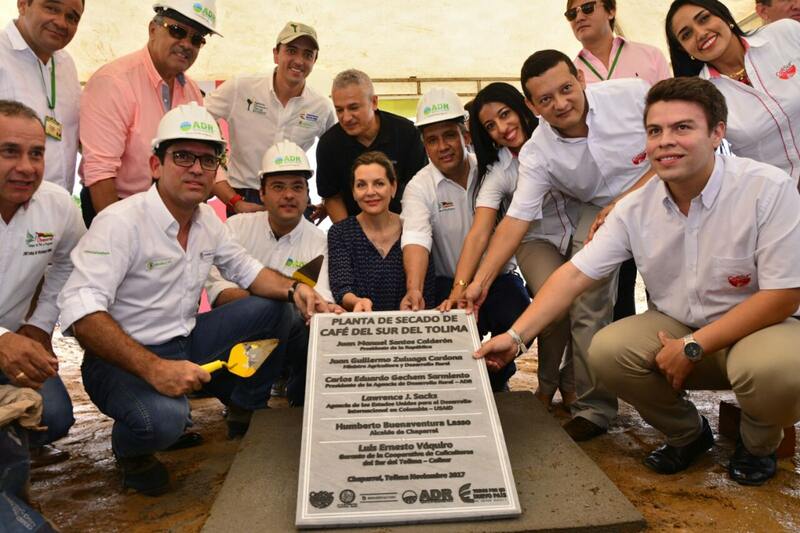 When Colombia’s Minister of Agriculture—flanked by the heads of three government land and rural development agencies—laid the cornerstone of a large coffee-drying plant in Southern Tolima in November, the action went beyond giving coffee farmers a better chance to market wet coffee. The moment proved to the government and its rural citizens that interagency coordination can be a reality in post-conflict Colombia and that the words “rural integrated focus” are not just hollow promises made by politicians brokering peace accords. In 2015, USAID began working in nine municipalities in Southern Tolima through its innovative Land and Rural Development Program. The project approaches peace and stability by combining efforts to improve land restitution, formalization, and economic development. But above all, the program—which seeks to increase institutional capacity to administer land—directs time and energy toward strengthening coordination and response, both horizontally, from agency to agency, and vertically, from municipal to regional to national government, and vice versa. 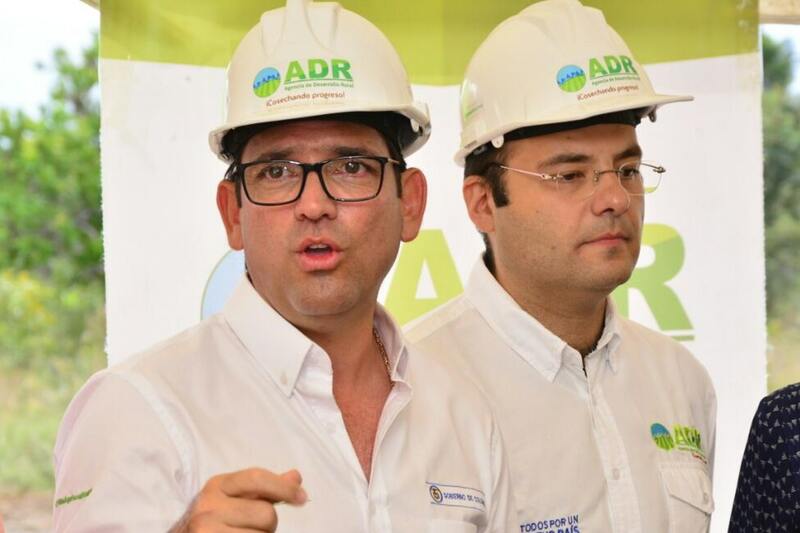 USAID then uses its rapport with government allies to facilitate public-private partnerships (PPPs) in the municipalities that have been most affected by Colombia’s protracted conflict. For example, after a series of stakeholder meetings, USAID facilitated a PPP with Tolima’s largest coffee cooperative, Cafisur, to the tune of US$8.2mn. Among other things, the partnership supports the installation of a coffee-drying plant in Chaparral, the heart of Tolima coffee country. The drying plant will allow Cafisur to purchase up to 3,500 additional metric tons (MT) of wet coffee from a universe of 24,000 coffee farmers in Southern Tolima. Three years from now, Cafisur expects to double its purchasing from 10,000MT to 20,000MT, which will put US$7 million in the pockets of thousands of farmers. An essential part of the plan involved securing a commitment of approximately US$800,000 from Colombia’s Rural Development Agency. However to meet the agency’s requirements for such investments, the USAID program had to first produce the drying plant’s designs. Although the investment represents a mere 1% of the PPP, it proved to be the necessary nudge to put the rural investment in motion. At the same time, the USAID program and the National Land Agency have been helping farmers in Chaparral fulfill the steps to formalize their private property—including land formalization requests, technical studies, judicial or notary approvals, and title registration. At the event, the National Land Agency delivered registered property titles to 139 families in Chaparral, including 97 families that directly benefit from the coffee PPP. This joint effort between the Colombian government and USAID has brought two important observations to light: Colombia’s rural poor lack the resources to formalize their land without subsidies and support from government actors, and the absence of government services exacerbates Colombia’s weak land regulatory framework. Solving property issues also helps the economy, creating a foundation for campesinos to commit to land and agriculture. “First and foremost, owning a formalized property creates an attachment to the land. A valid property title also allows individuals to access government programs and subsidies that serve their families and farms. Finally, the property serves as an asset for accessing financial services, like loans,” says Váquiro. In addition to small campaigns in places like Chaparral, USAID is working with the government on a methodology for formalizing land on a massive scale at a substantially reduced cost to rural landholders. 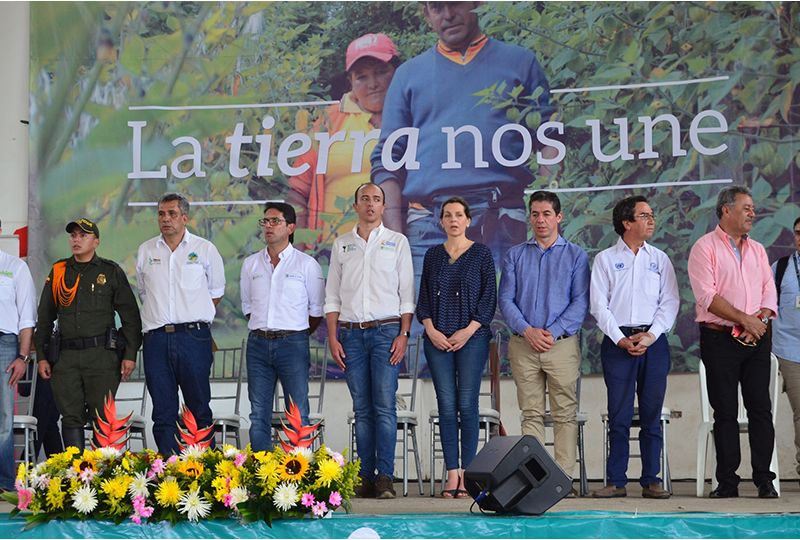 USAID and the National Land Agency have launched a massive land formalization pilot in the municipality of Ovejas, located in the department of Sucre, whose results will shape the strategy to roll out massive land formalization throughout the country, with leadership from local authorities. Because Land formalization is a central theme in the Havana Peace Accords, the government has made land a priority. Having strong regional-level land entities is critical. Typically, six out of ten parcels lack a formal title. The government-led formalization campaign will cement property rights and act as a mechanism to dissuade farmers from growing illegal crops.